Payload oscillation suppression in point-to-point maneuvers is a challenging problem in the design and control process of overhead crane systems. 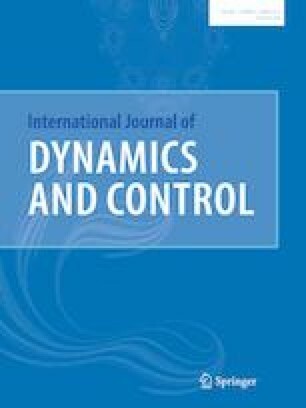 To address this issue, this article proposes an input shaping control method coupled with a genetic algorithm strategy to tune the jib input acceleration. A polynomial function is defined as the input for the jib acceleration to move the payload on a specific track that satisfies the system constraints, while the desired final conditions are achieved. All three phases of a crane maneuver, including filling the ladle, moving the payload to a new position, and eventually unloading the ladle, are captured by the optimization algorithm. The proposed method is evaluated for both constant and variable hoisting cable length cases. The numerical results indicate that the introduced method enables the crane to safely perform an accurate controlled maneuver by constraining the payload angular motion within a certain range, which is critical in handling sensitive loads. In compared with the existing techniques, the new input shaper also provides a faster system response owing to the fact that it is driven by a continuous input function. A sensitivity study is performed and a non-sensitive optimized input polynomial function is obtained for the variable hoisting length case.